Social media is time consuming. The hours a week you spend lost inside of Pinterest, or looking at images on Instagram is not time well spent. Doing your research and finding tools that can help you save time is ultimately going to keep you on track to building a successful online business. Did you know potential online customers are touched by a brand 8 times before they consider purchasing from them? Make the next tool I am going to share with you one of the 8 touch points. 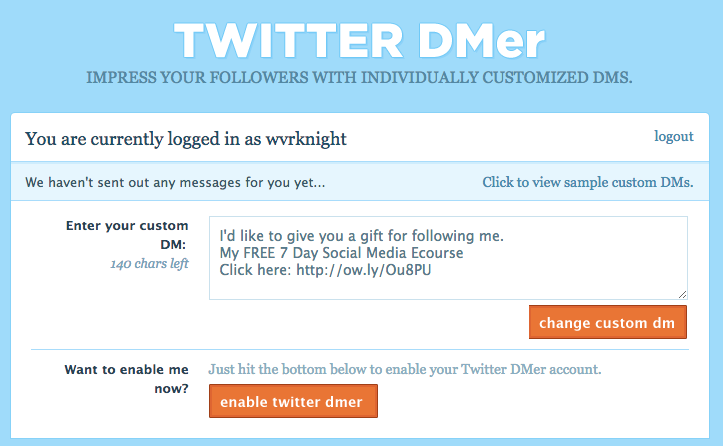 One tool in particular which does something for you which is very powerful is TwitterDMer. 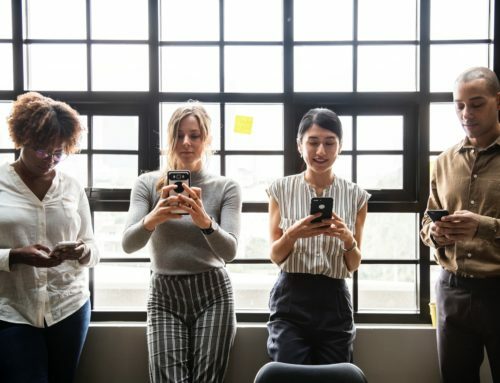 Being able to touch base with every single NEW potential customer who follows you on Twitter allows you to share a bit about your business in an approachable way which will help you build trust online. As you can see below, I have used TwitterDMer to create my message to send out to every new follower. They may have seen me speak at an event, or maybe followed me because of my bio and my expertise. As part of my marketing strategy, I offer something to all my followers at one point or another as a complimentary gift, as long as I get their name and email address. If you are an avid twitter user, you will find your inbox clogged up with useless direct messages from people you started to follow. Don’t just automate a welcome message to new Twitter users following you, without giving something of value away otherwise they will report you for spam and unfollow you. Part of using social media is analysing your data to see what works for your community and what doesn’t. Make sure that you customise the link you share in your direct message using bit.ly. Use this specific link for just direct messages to see how many people are actually clicking on the link. Don’t use Twitter direct messages to sell your products or services. Offer them as a complimentary “thank you” for following on Twitter, but you will be unfollowed if you make them feel uncomfortable on social media. If you WANT to send automated direct messages on Twitter, but don’t know what to say, share an informative article. If you are an avid blogger, share an article of yours. It is one of the most successful direct message uses. It’s one thing to send out automated direct messages on Twitter but what if your new followers respond to you and you don’t answer back? Always check your direct messages if you don’t have the notifications set up on your email or smartphone. How do you use Direct Messaging on Twitter to build your brand online?